Do not let your customers wait more in line! 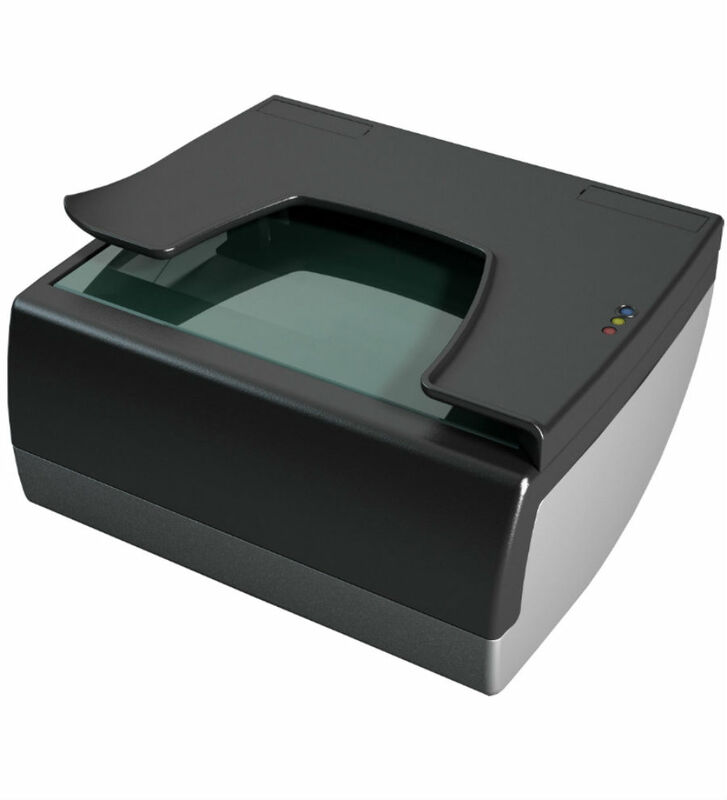 IDR document reader (Intersoft document reader) is ideal for any type of business with direct contact with customers such as hotels, campsites, car rentals, charter boats, banks, telecommunications companies and others. Within 2-3 seconds, you can get all the data from a document directly in your PMS and you can immediately return the documents to your customers. IDR is already integrated with some of the largest software companies such as ASA, Proxima, Ericsoft, SGS, Micros Fidelio, Lasersoft, NI.CE computing, HQ soft, Passepartout, Istratech, Laserline, Code one, Pakom, Computer studio and others. Scanning process starts automatically via a motion sensor. After scanning with IDR, the data collection process for check-in becomes faster and more accurate than ever. This allows you to spend more time with your customer. IDR supports standard and non-standard documents from 190 countries such as ID cards, passports, e-passports, visas and driving licenses. With our OCR (optical character recognition) we are able to read non-standard documents to facilitate your work. IDR uses three types of technology: OCR, MRZ (machine readable zone) and RFID (radiofrequency identification) - optional function. Combining all sources results in greater reading accuracy. Special characters are no longer a problem, IDR can automatically translate them into your alphabet! Ultra compact scanner for fast data entry. 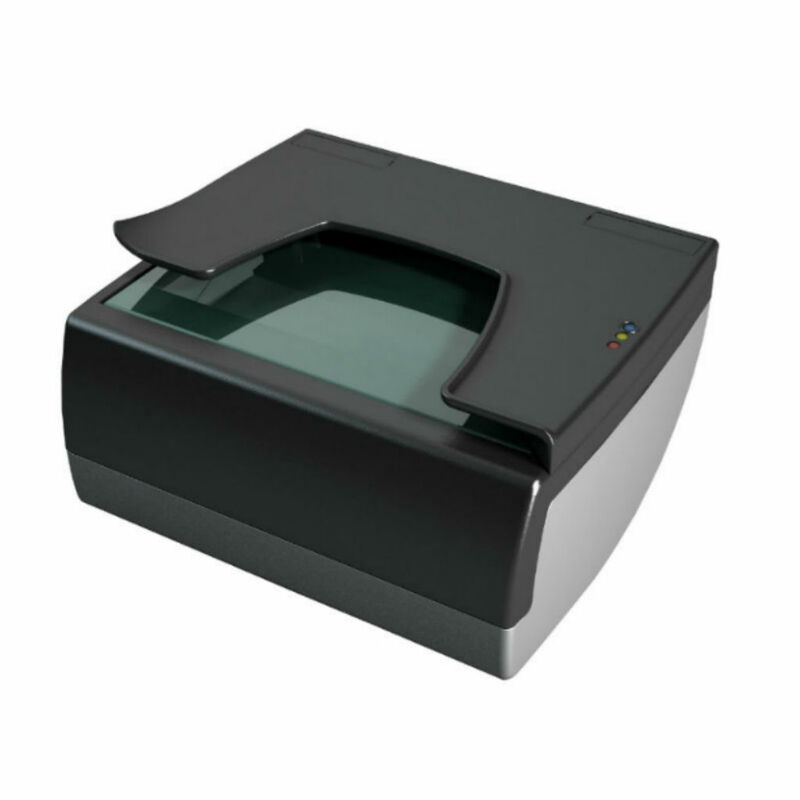 The IDR mini (Intersoft document reader mini) is an extremely compact, fast and automated document reader, developed for management or applications for fast data entry. 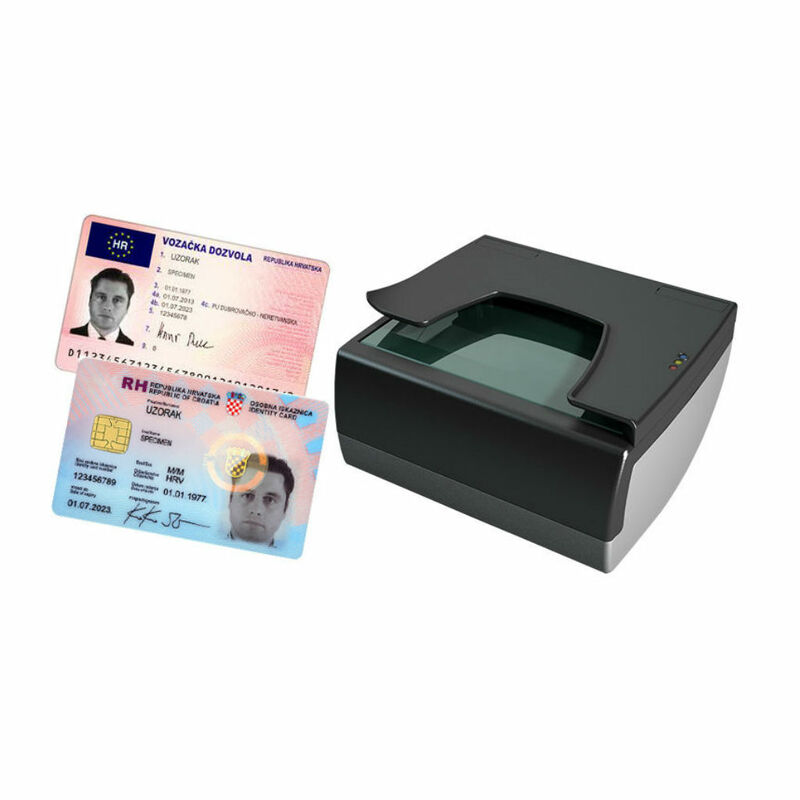 Accuracy and efficiency combined with ease of use ensure peace of mind for any operator who needs to scan and read documents and passports. Hotel check-in, casino, car rental, liquor stores or currency exchange are just some of the possibilities of employment. Scanning is done automatically as soon as the document is placed on the scanning surface. 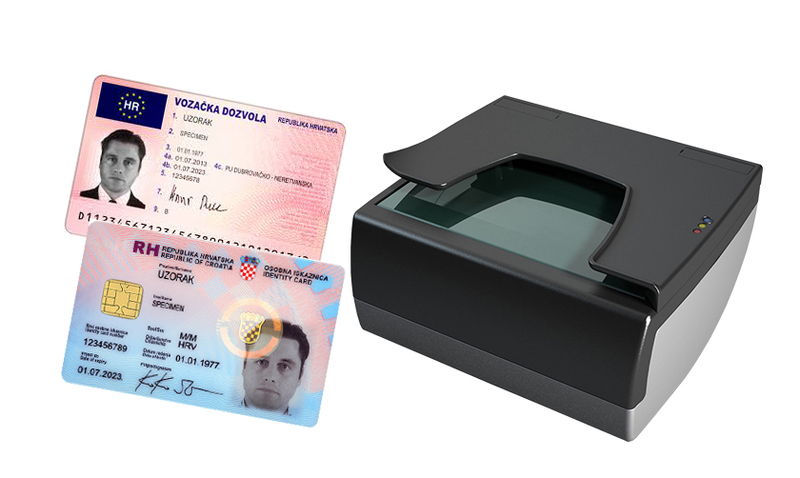 Several high-resolution images are acquired and processed and the gloss reflections caused by the laminated documents is removed to obtain better results with OCR (optical character recognition). Within only 2 seconds of processing, all the data detected by the document are available. This saves significant amounts of time, approximately 2-3 minutes per customer and significantly improves data accuracy compared to manual entry. The operation does not require hardware maintenance due to the design without moving parts. The scanner works with a single USB port, no external power supply is required. 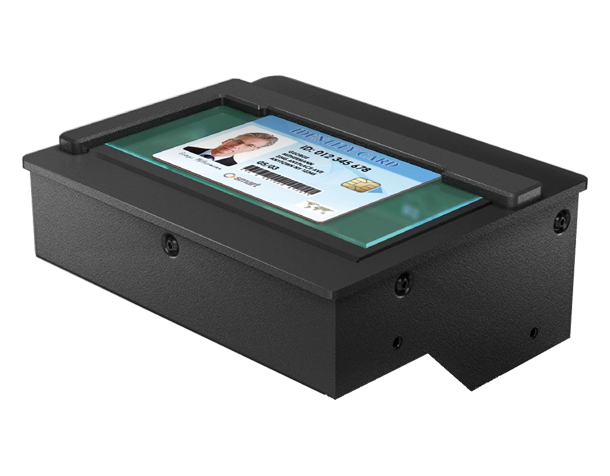 Full-page ePassport/1D reader for kiosks and automatic security gate applications. The reader module appears in an incredibly compact - 10 cm / 4 inches tall - brick design with mounting points, recessed connections, replaceable document guide bracket and status LEDs. The device has a full-size ID-3 type document reading glass platen that is factory-installed to be easily exchangeable even after the unit is in its set position for utilization. Its physical form factor is optimized for e-gates and other CUSS projects. Its mounting bracket is fully 180 degrees reversible during installation, which allows the reading glass better exposure and more convenient use. Similarly to IDR Classic except its ability to read smart card chips and magnetic strips, the module is able to perform full spectrum authentication and data reading tasks and also manufactured with consideration for the intuitive customer.